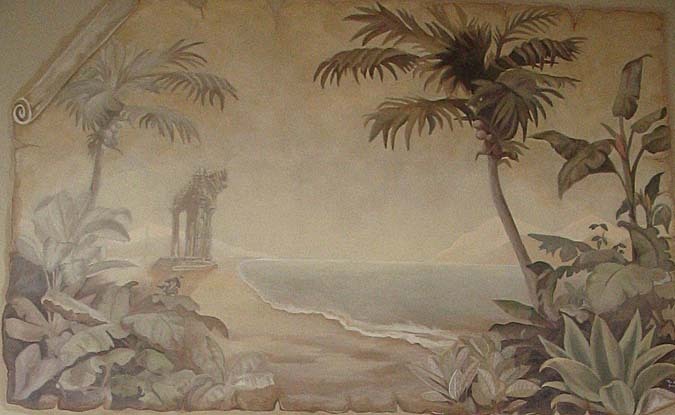 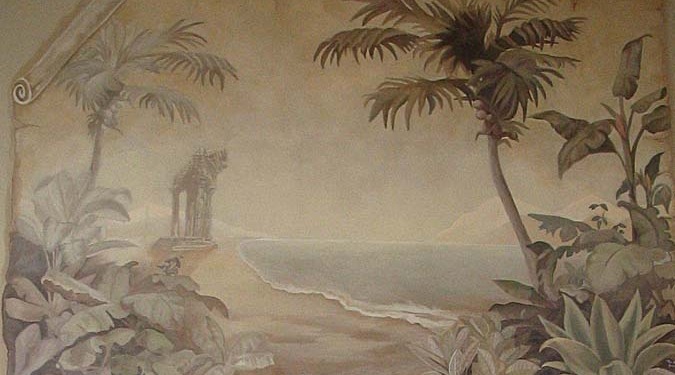 The great advantages to sepia murals are their subtly. 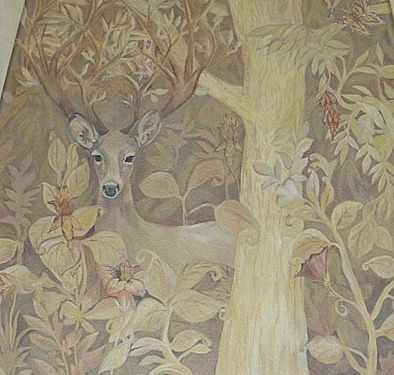 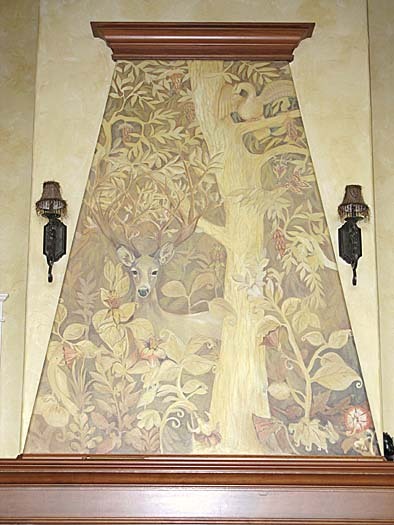 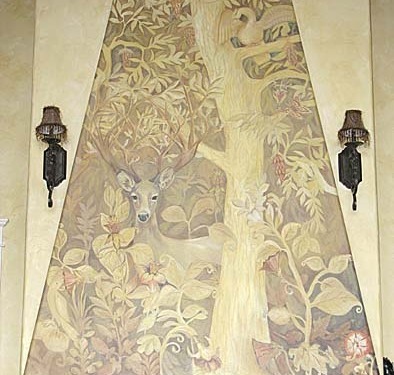 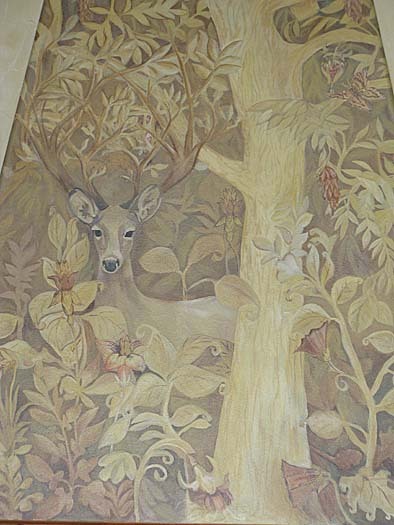 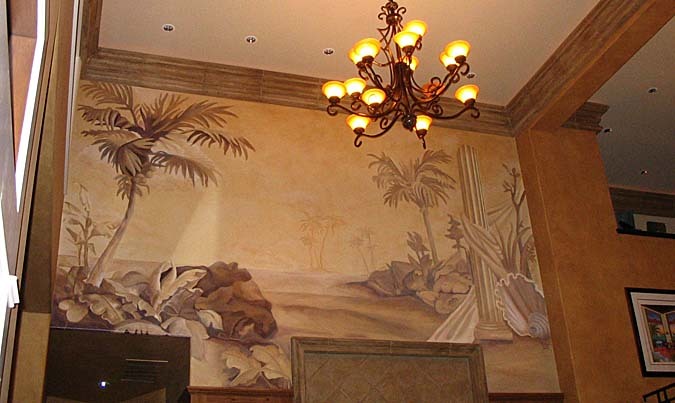 Sepia murals have a classic, timeless and sometimes vintage look while adding an artistic touch to the interior design of any room. 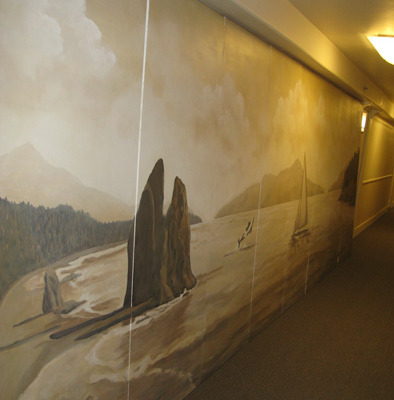 All the murals are hand painted original designs. 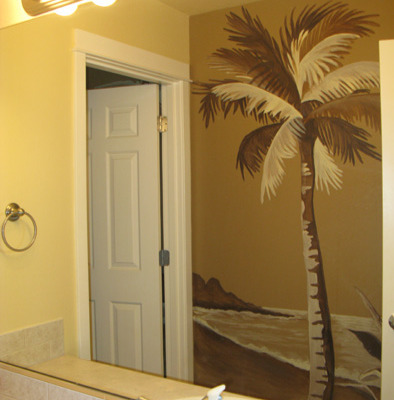 We use a neutral palette to create a soft look. 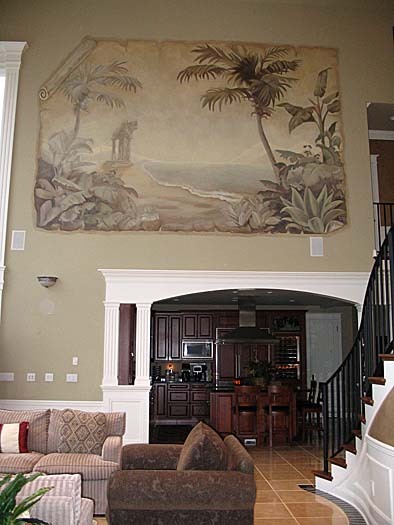 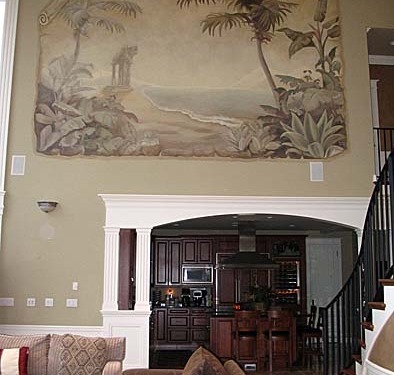 From cityscapes to water views to landscapes, the murals will create the wow effect in your space. 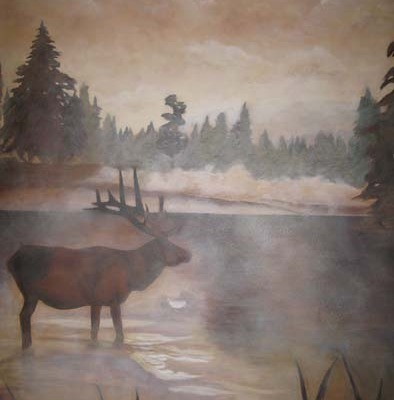 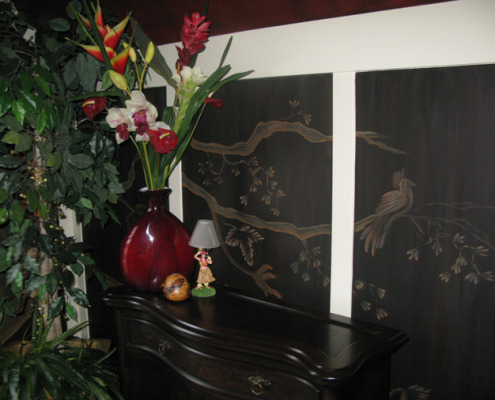 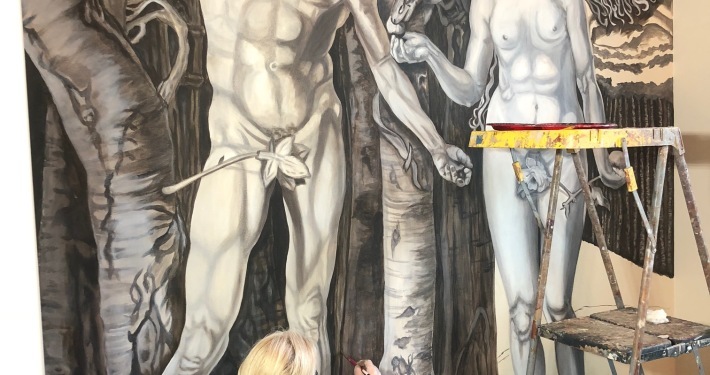 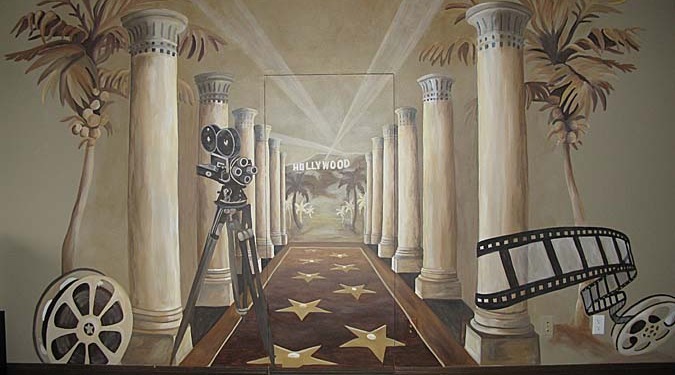 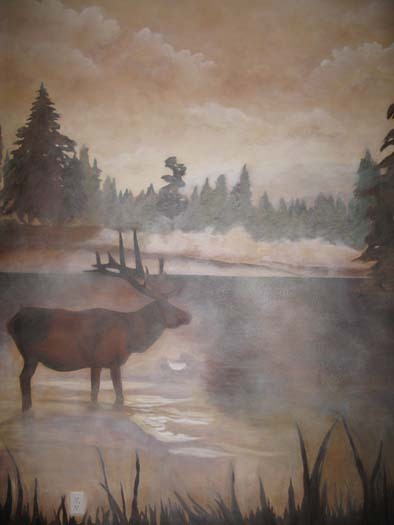 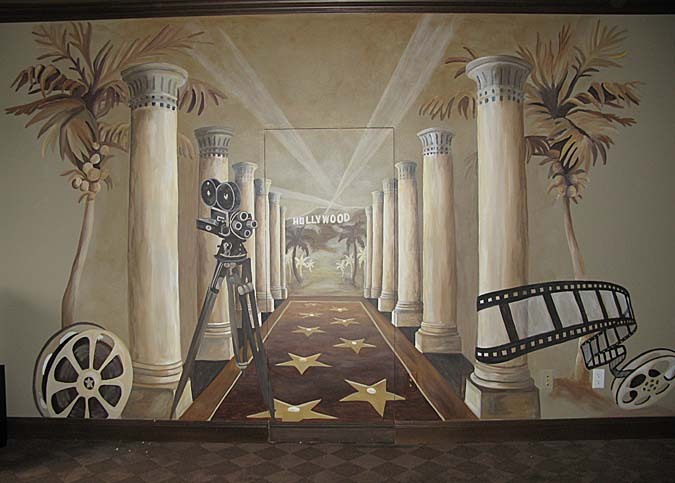 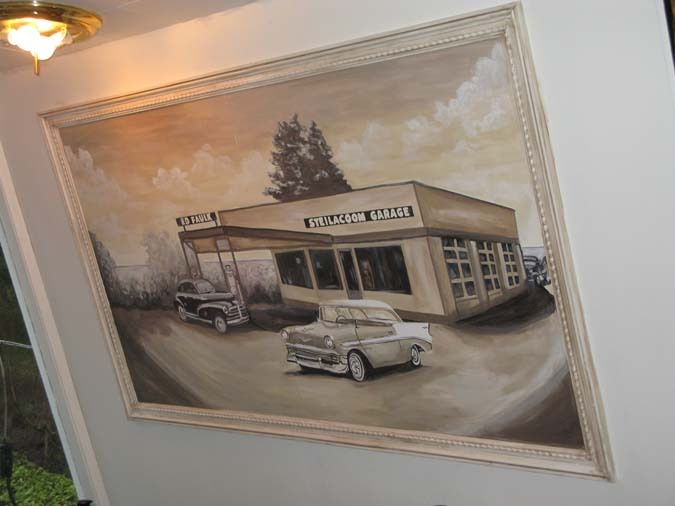 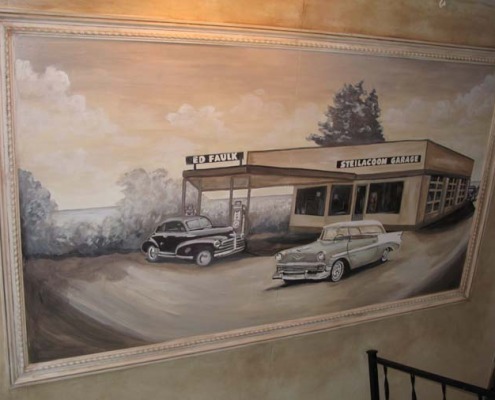 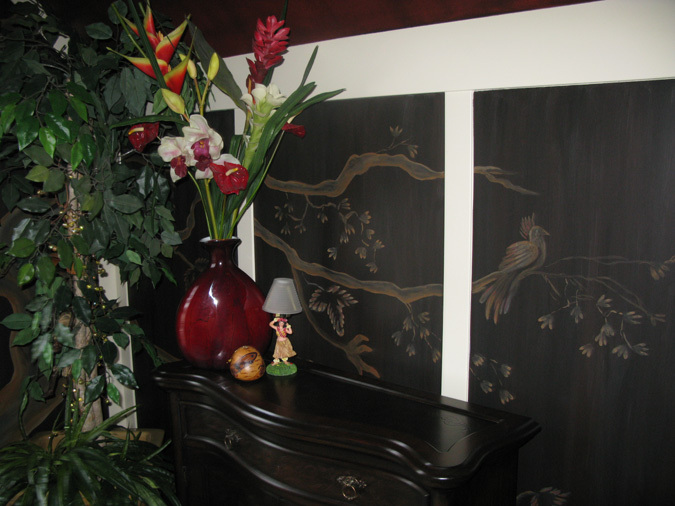 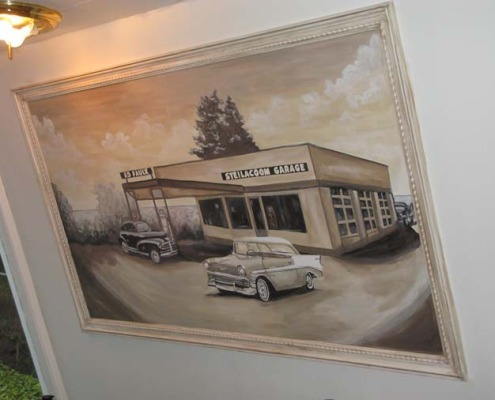 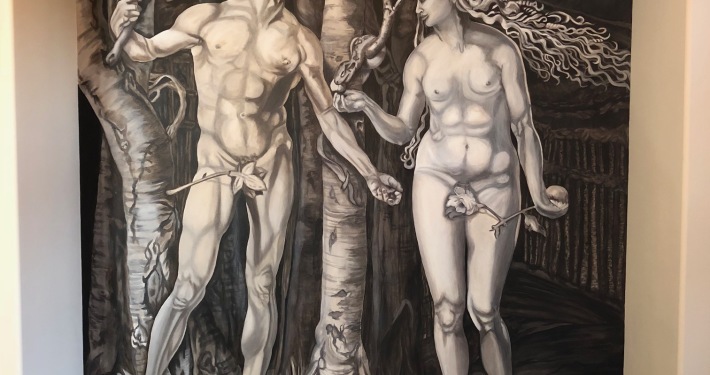 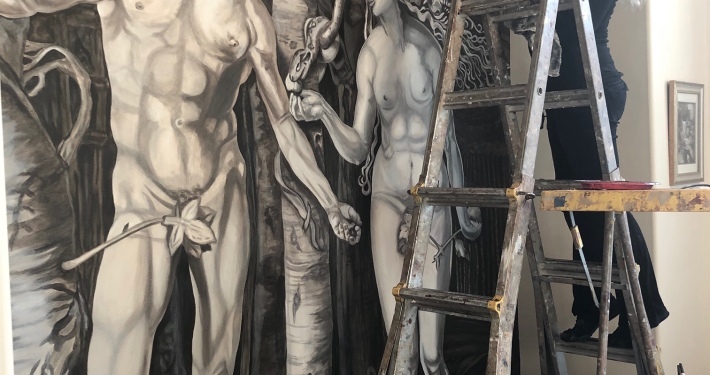 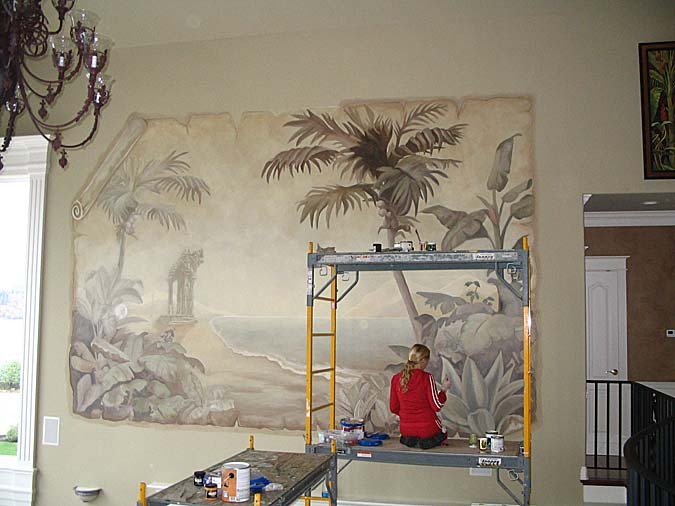 The muralists at Paradise Studios help design the perfect art for your space. 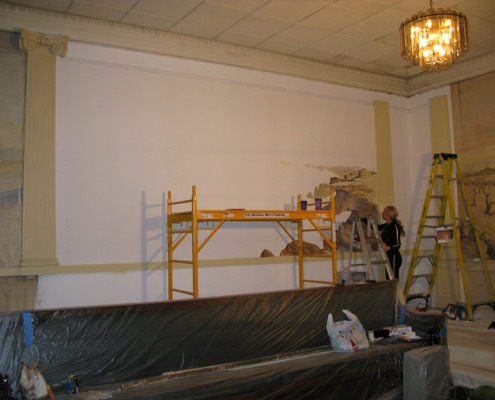 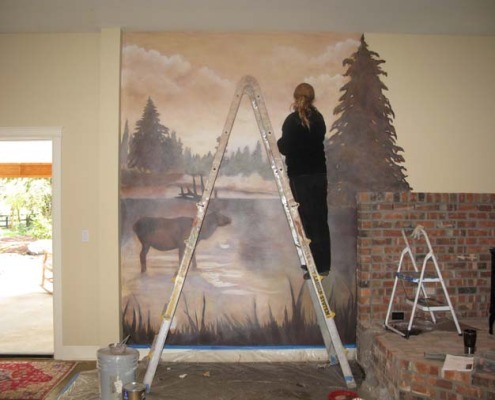 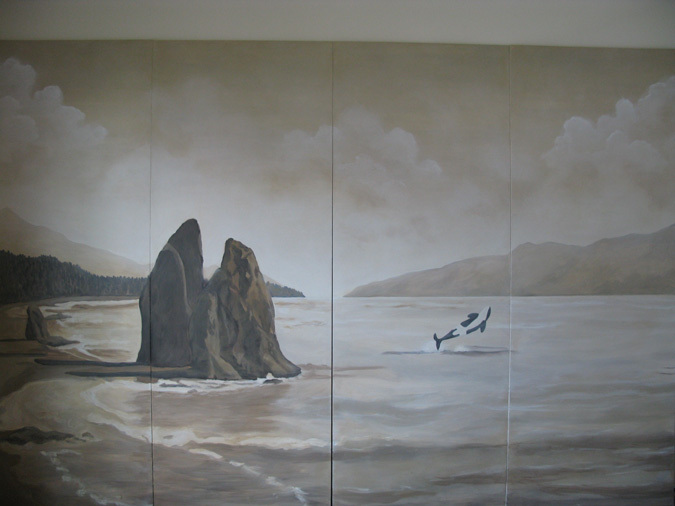 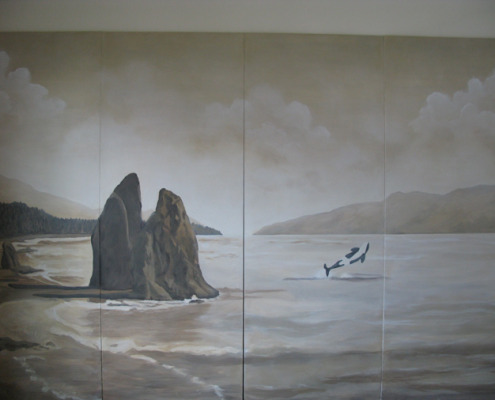 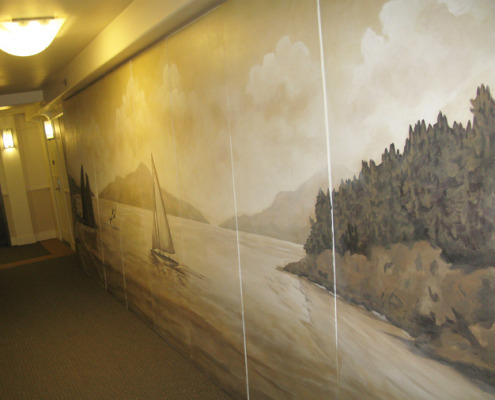 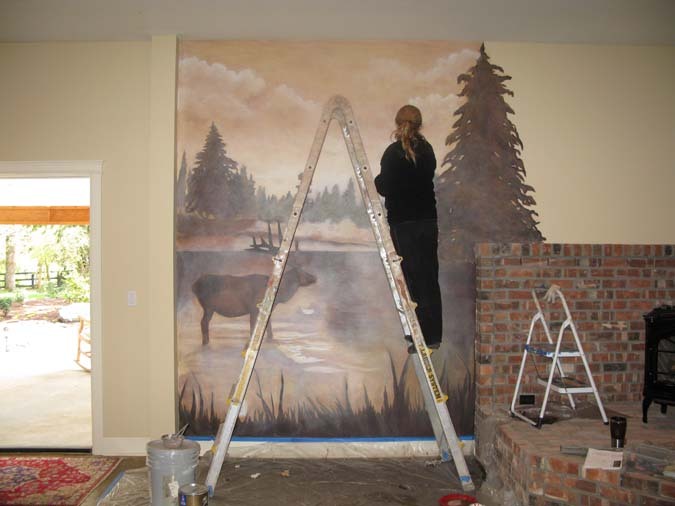 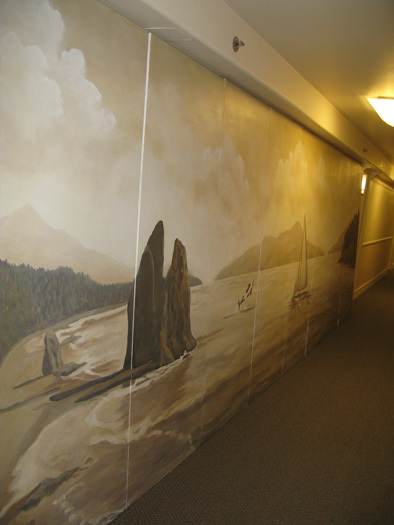 Our mural artist based in the Seattle and Kirkland area do extensive research of subject matter for each project before starting. 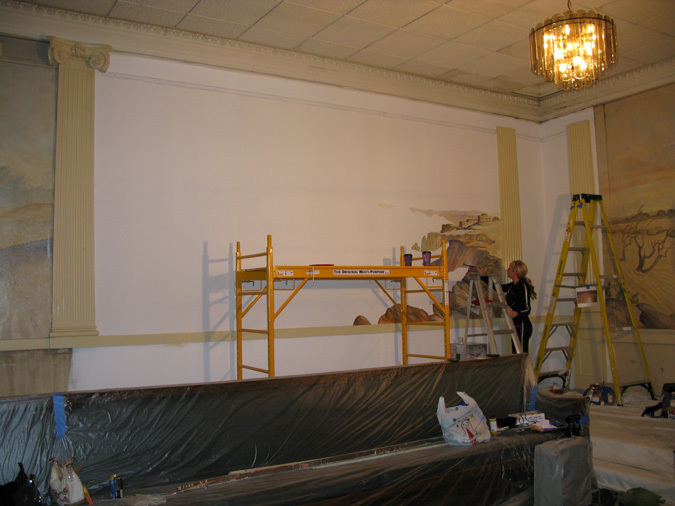 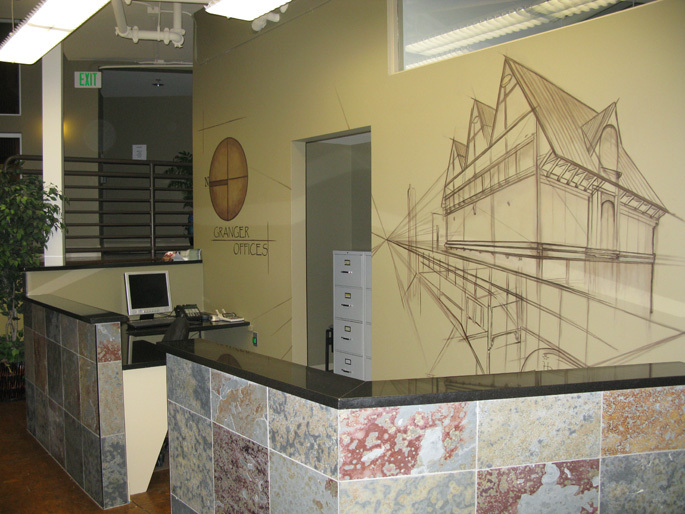 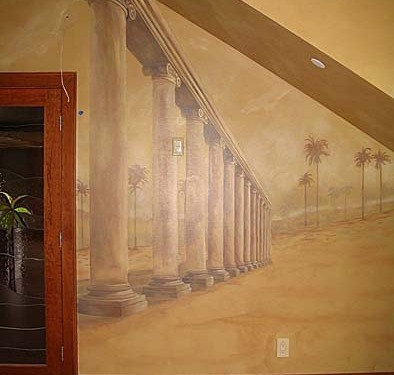 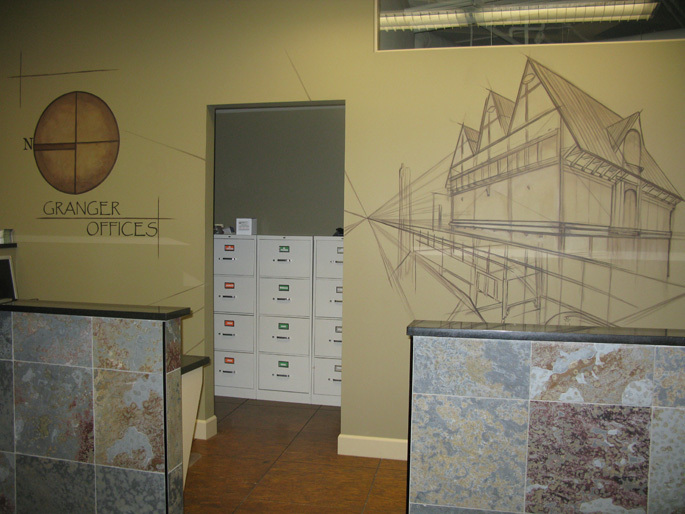 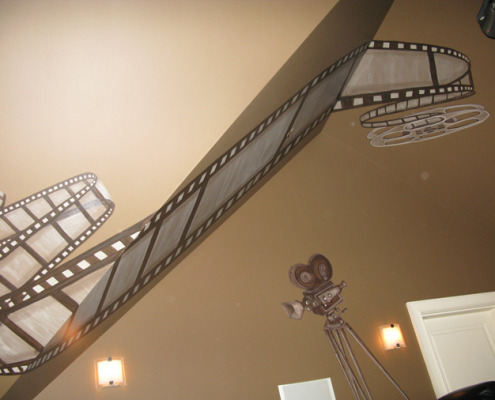 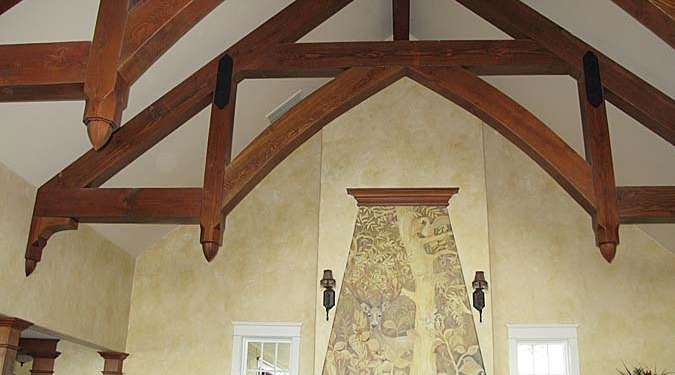 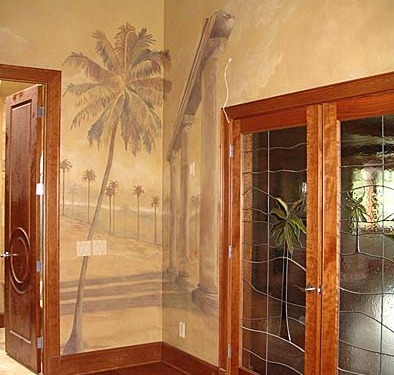 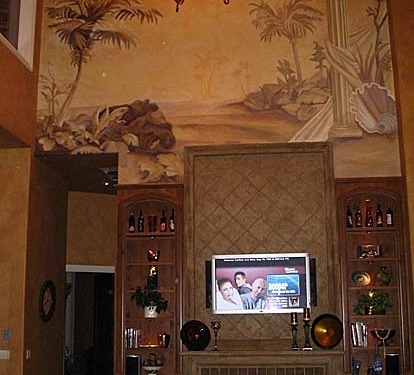 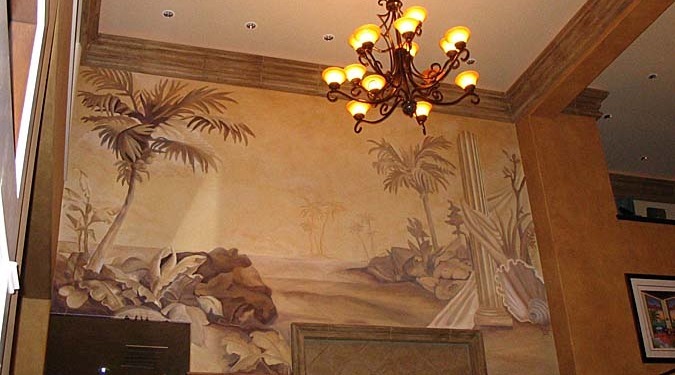 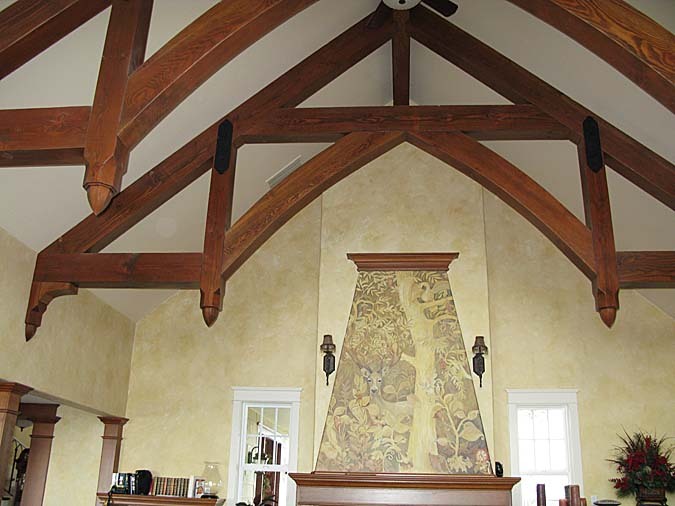 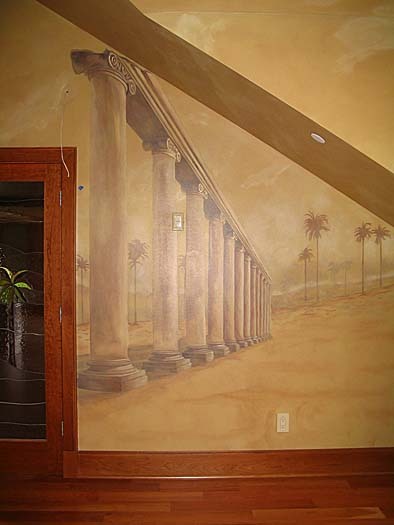 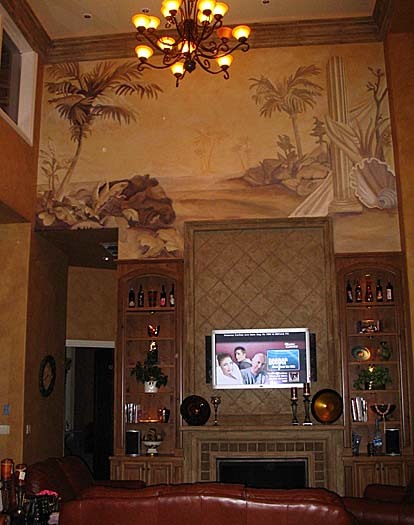 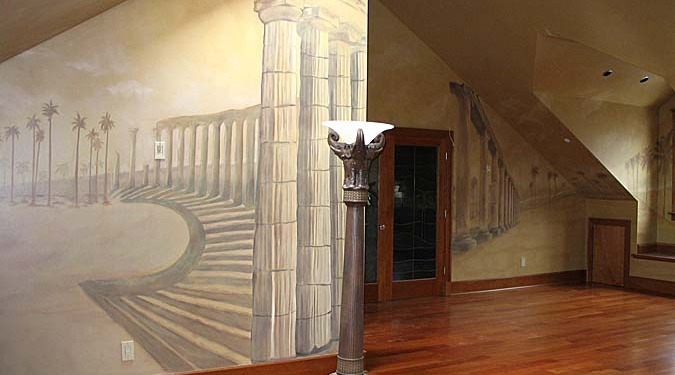 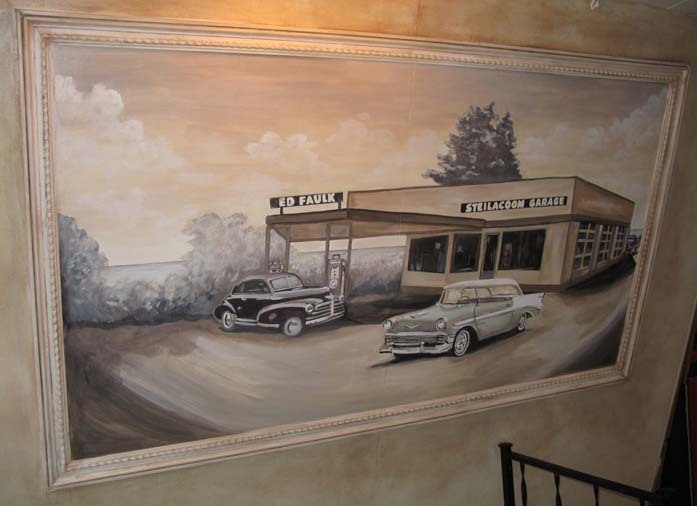 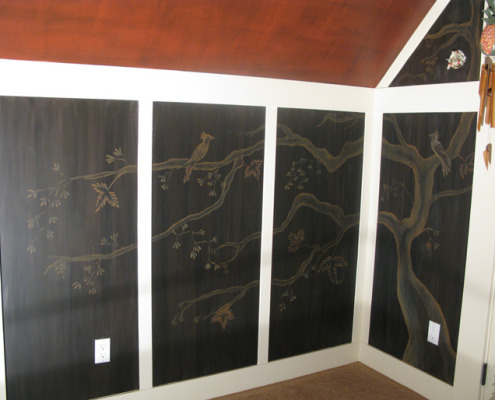 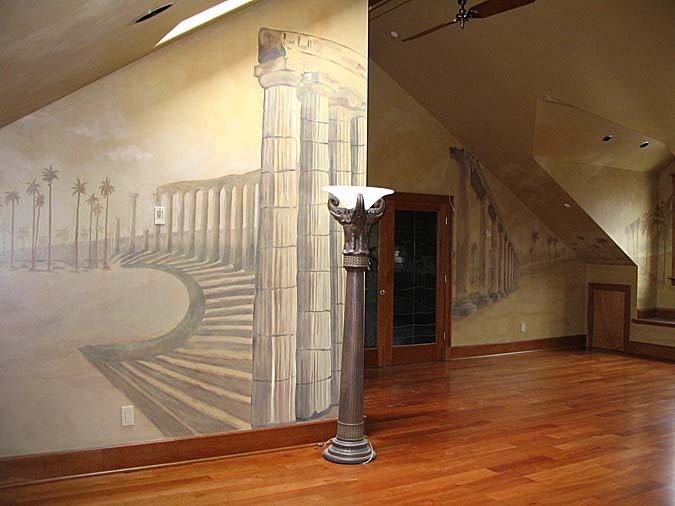 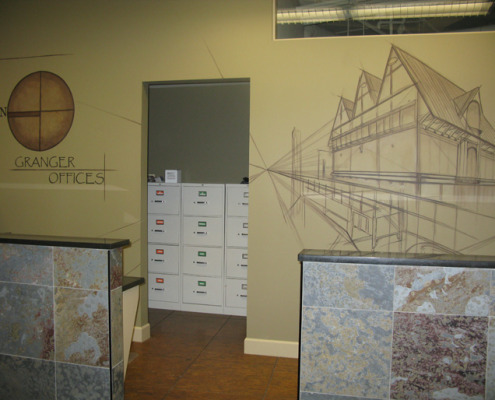 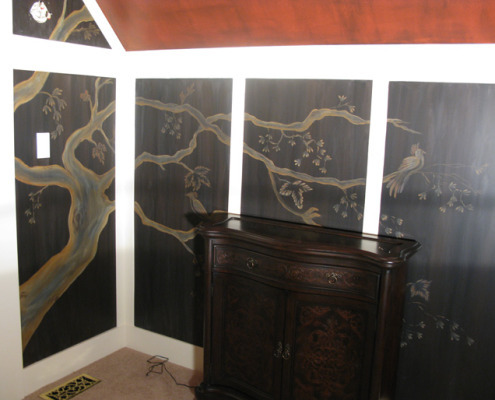 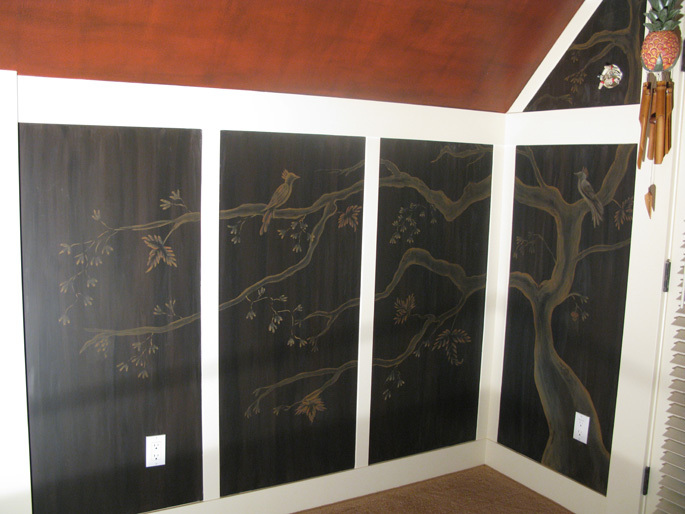 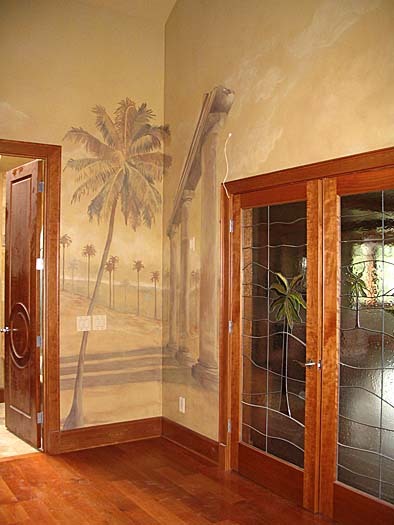 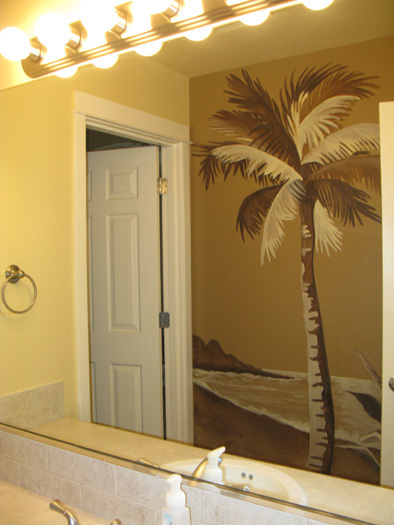 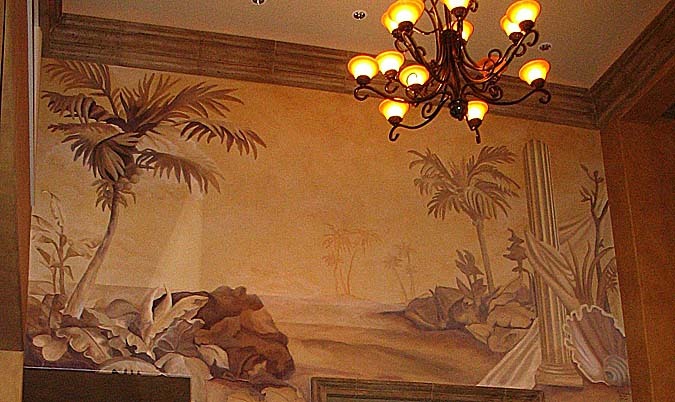 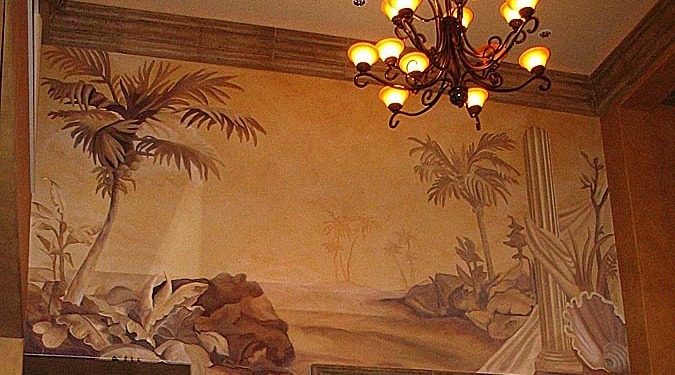 From classic old world to contemporary murals, we create the designs greater than you imagined. 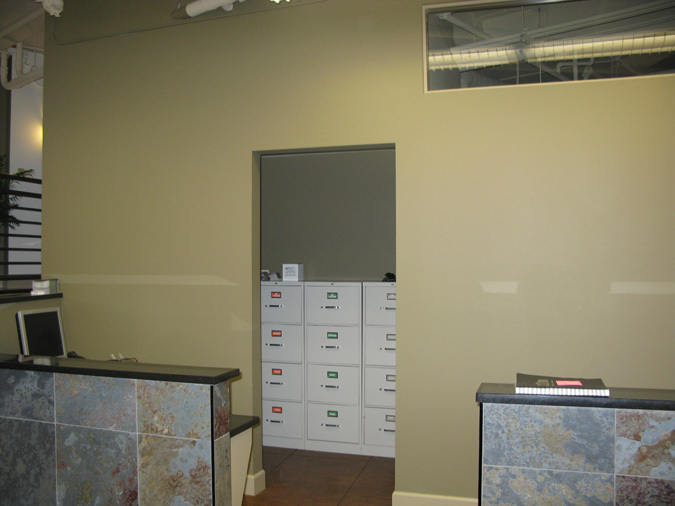 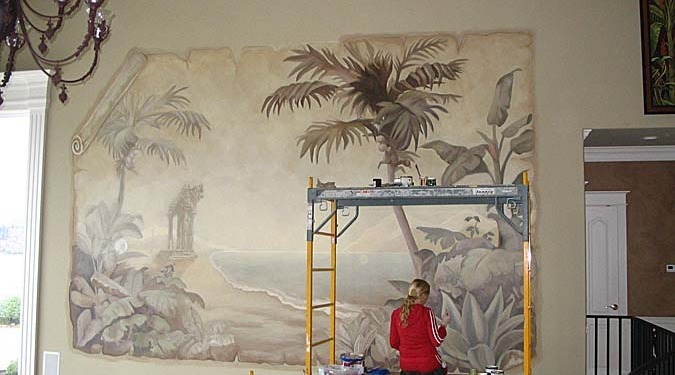 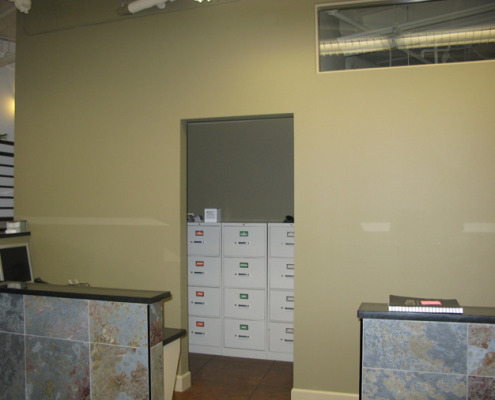 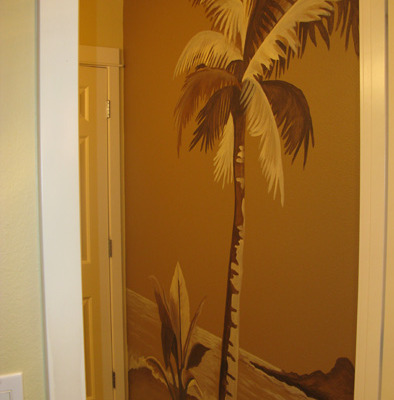 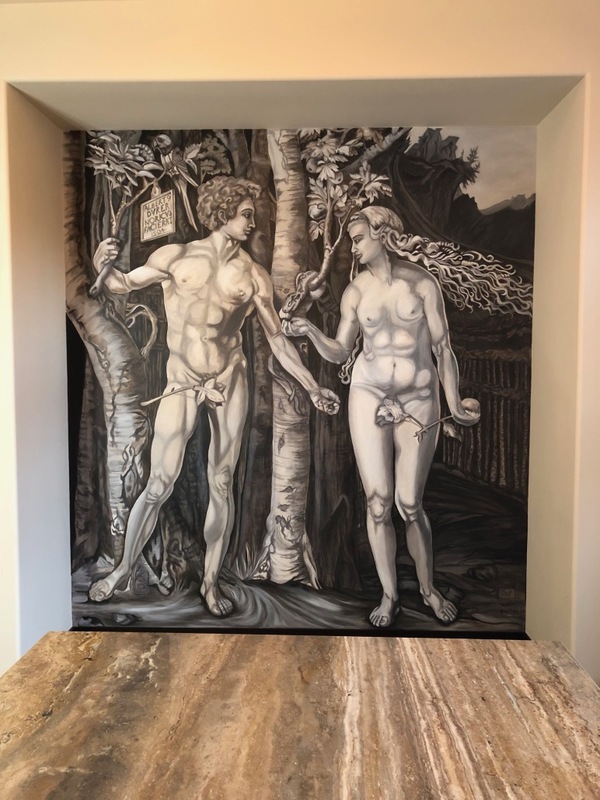 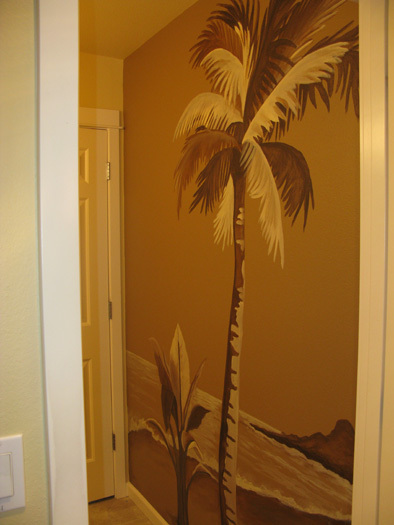 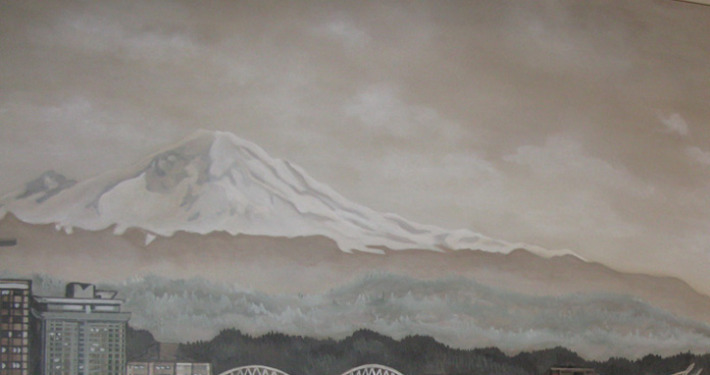 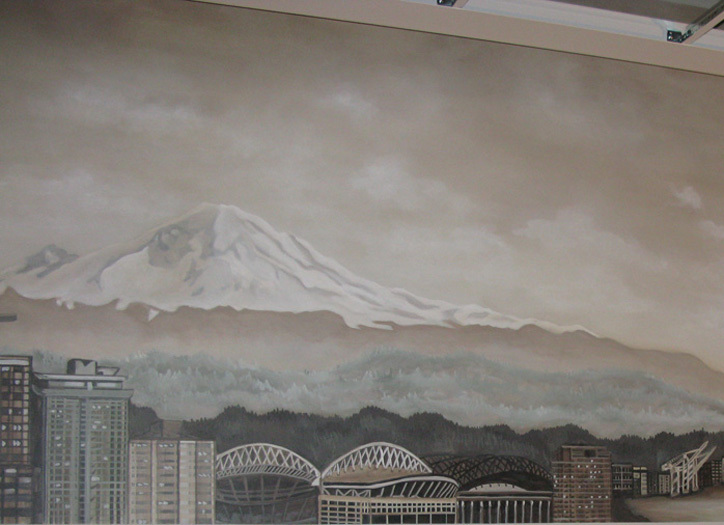 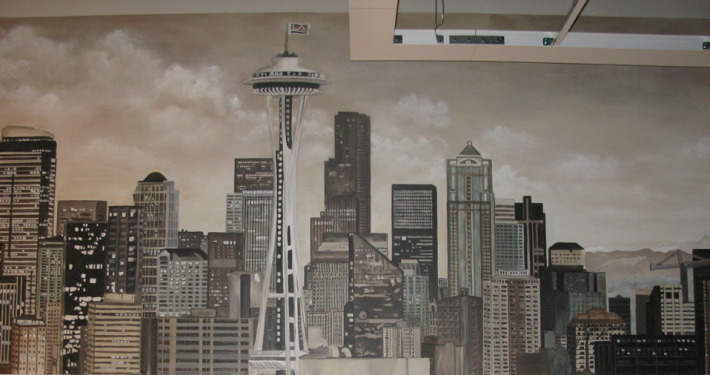 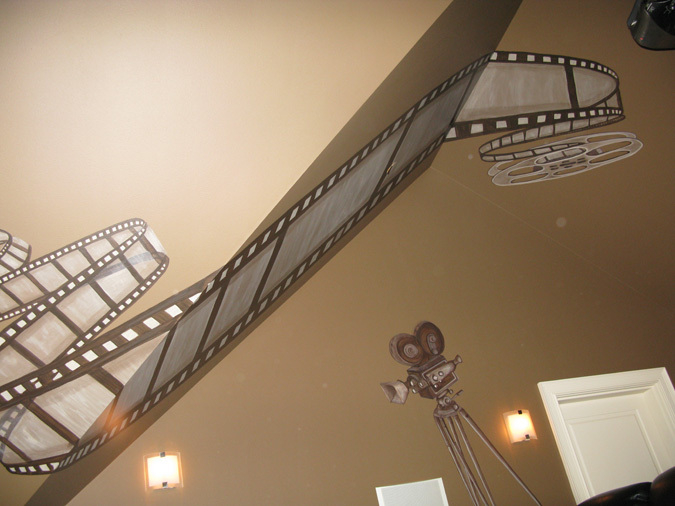 We have completed mural projects in Seattle, Las Vegas, Bellevue, Kirkland, Medina, Woodinville, Sammamish, Redmond, Issaquah, Gig Harbor, Tacoma, Puyallup ,Olympia and more.